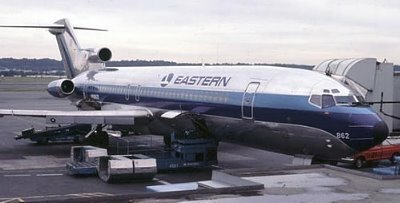 An Eastern Airlines Boeing 727 left a trail of dirty exhaust as it climbed skyward over Newark NJ…we were on our way, and I had no idea that that my first airplane ride, let alone first trip to Walt Disney World would open a door of memories and opportunities that continue with me to this day. It was October, and oddly enough Florida was in the middle of a heat wave. Six of us, my parents, grandparents, my brother and myself all packed into a yellow Chevrolet Chevelle. Probably didn’t have A/C, its a good thing we don’t remember pain. I can’t say I remember much from that trip, granted I was only 6 years old but turn the clocks forward to 1986 and on our next visit my eyes were opened and I was recording memories. EPCOT Center was the focus of our next trip, I mean after all this was the latest and greatest technology being displayed right before our eyes. My head was in a state of awe…I knew others thought the park was “too educational”, but this place struck a chord with me, as it did with many others. My grandparents often visited WDW over the next decade taking myself and/or my brother with them. I began to absorb more and more about this magical land. Now in high school, and bored stiff with the regular daily grind, I found a project that gave me something to do and would ultimately help me get some spending money during my college years. We received a letter from some friends of the family who lived England. They had informed us of their plans to visit Disney World on their tour of the United States and asked that I send them some information, being that by this time, everyone who knew my family knew that I had this knack for WDW info. I suspect they were expecting travel brochures or something, but one Saturday in 1990 I typed out a long description of every aspect of Walt Disney World that I thought would be relative for a first time visitor. Due to a combination of postal delay and a misunderstanding of their departure date, my letter was sadly waiting for them when they arrived home from their tour. Rather than put my hard work aside, the decision was made to expand and share it with anyone else who needed the information. I updated and expanded what had now become a book and released it on computer bulletin board systems around the country…this mind you was pre-internet days…reaching people via bits and bytes was a bit more challenging. I rapidly amassed quite a following and began to distribute the book free of charge via e-mail but by spring of 1994 I decided to discontinue the electronic distribution and I began working on a bound version. I released the first real “book” in November 1994 and it was met with an overwhelming response; every book printed was sold. Over the next seven years I continued to print more copies to meet the growing demand. While doing research over the years I continued to purchase “vintage” and “retro” Disney books and memorabilia…The pictorial souvenirs and pre-opening guides became an instant fascination and I used everything I purchased as research for my book as well as to satisfy my own curiosity of the how/why of WDW. No plush toys or ash trays here, 90% of my collection was paper. My personal interest in Walt Disney World has grown throughout my life. I’m not one who eats, sleeps and breathes everything Disney, I have more of an interest in the philosophy and design behind the resort and its deep rich history. It was in 2001 when, not for lack of interest, but lack of time I discontinued the updates stop publication of the book. Since that time I’ve continued to visit Disney World, but I am now married and we have a son. Experiencing the parks through the eyes of a family shed new light on my interest and after a bit of deliberation I decided to start updating the book again…and with this, ironically going back to electronic distribution. This time however, with devices like the iPad and Kindle, the world is a different place. I anticipate a Mid 2012 re-launch of Walt Disney World Made Simple. 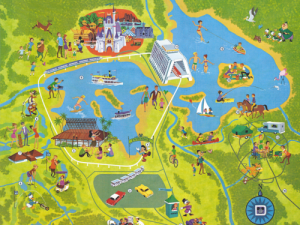 While reworking the book I re-kindled my interest in my old collection…I saw all these internet blogs…photos…maps…8mm movie film…and then it hit me…Why doesn’t someone make a place just for Retro Disney World? 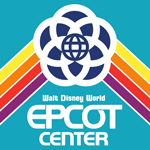 I want to see photos of the now-viewed-as-cheesy orange rug walls of the Contemporary; lets share stories of the wave machine on the Seven Seas Lagoon; what ever happened to the Oscar Meyer Wiener man at the Hospitality House? The answer was simple…create it. Yes I know what you are thinking…there are so many “fan sites” and forums out there and you are absolutely correct. However they are mostly tuned towards the latest news and attractions. There are mentions of retro-news and a few forum threads with old photos, but there isn’t one place where we can all come together with the past in mind. I’m also working to make this a prototype community if you will, where everyone writes, shares and blogs together. What has made Disney World magical for us all is the core reason for this site. Those that get a warm feeling when thy think of Mission to Mars, Horizons, Tangarooa Terrace, EPCOT Center and Dreamfinder know exactly what I’m talking about. Now as a father, I experience the fun of Disney alongside my son and watching the amazement in his eyes; longing to be a kid again and go back and experience what I remember is what Retro Disney World is all about.